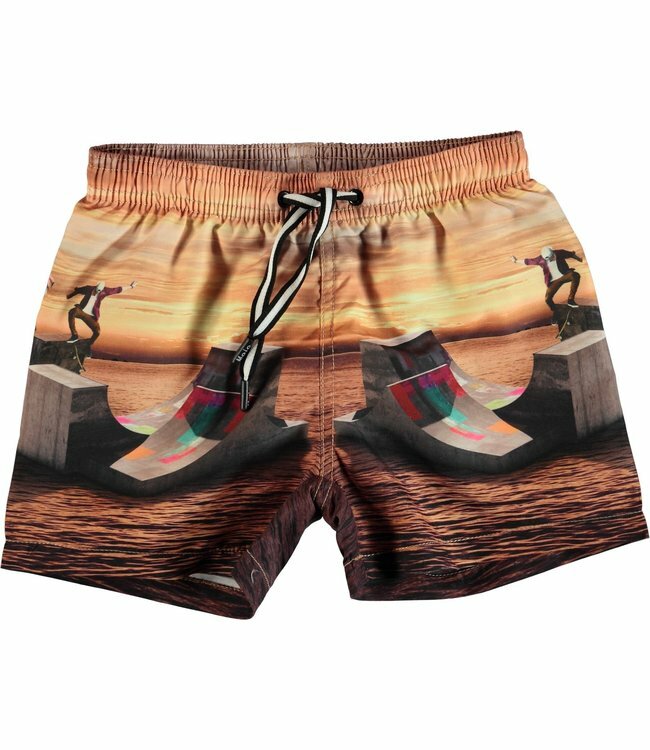 Molo Niko Boardies-Sunset Skate - Refinery Clothing Co.
Niko is a pair of swim trunks with a tie at the waist and the 'Volleyball Sunset' print. They are comfortable and easy to move around in. Molo's swimwear has a 50+ UV protection.